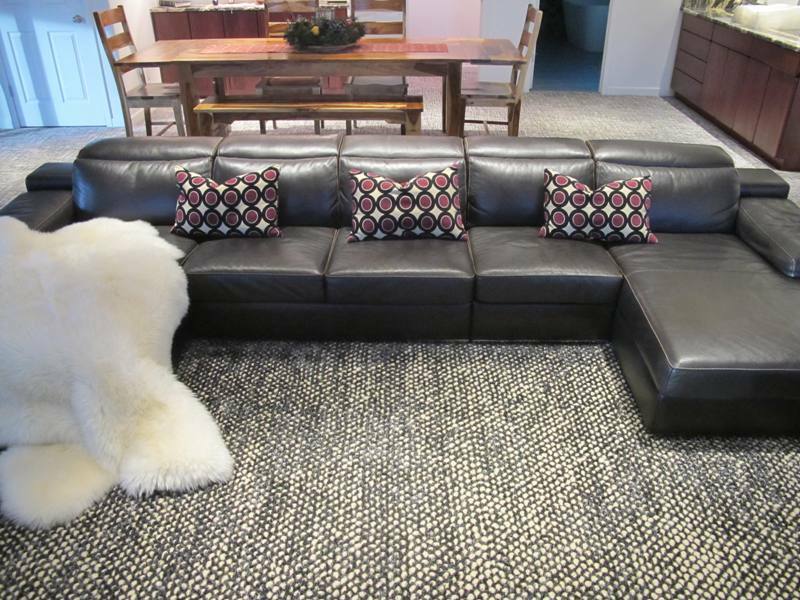 At Coventry flooring we custom make area rugs in any shape or size. We can make them from any type of carpet. People love area rugs in their living room or family room. Area rugs are cozy and decorative. You can create a frame in which to place pieces of furniture or define living spaces. People create artwork and conversation pieces from these rugs. Area rugs can be used in almost any room including hallways. They are most common in the living room over an existing flooring like luxury vinyl tile or hardwood. You can design a beautiful area rug for much less than purchasing a rug from a fine rug dealer. Things to consider when using area rugs. The most common mistake people make is to get one that is too small. An area rug should fit under all of the main furniture in a room. If you have a large room divide up the individual areas and use a different rug for each area, the rugs can be different but should be connected somewhat by a color or pattern. For an average room, there should be anywhere from 8″ – 24″ of space between the edges of the area rug and the walls of the room. Make sure you center the rug in the room and the distance between the rug and the wall is similar on all sides. No matter the room size, make sure there is enough room for people to walk on the rug. Area rugs are like art for your floor and are a great way to add color into any room. Area rugs with bold patterns can be great, but make sure that when you place furniture on them the designs are not totally covered. We carry the highest quality of under rug non slip padding, cut on site to fit your rug perfectly so that the rug overlays by half an inch. Give us a call to schedule an appointment at your home if you are interested in a custom made area rug. Luxury vinyl tile is the most popular type of flooring currently because it is very durable and affordable. The cost will be going up soon because of the new tariffs on it. The tariffs will be starting at 10% in September and going to 25% in January. Chinese imports of vinyl flooring are currently between 55 and 70 percent of the U.S. market. Many U.S. vinyl flooring and tile makers are pushing for tariffs on Chinese vinyl flooring saying it will result in more domestic investment and jobs. Importers predict it will lead to higher prices on vinyl products and increase the cost of new homes. “I can state unequivocally that U.S. manufacturing and jobs would increase if Chinese imports would stop flooding the market,” said Brian Carson, president of the North American flooring business for Calhoun, Ga.-based Mohawk. Congoleum President and CEO Chris O’Connor said the tariffs will help the U.S. industry maintain a focus on product development and better deal with rising Chinese imports. On the other side of the battle are many flooring industry executives who are against the proposed 10% tariffs on Chinese imports saying the likely price hikes will hurt the industry. The bottom line is that the tariffs will likely have a small effect now but come January they could have a much larger effect when the 25% tariff starts. If you are considering vinyl tile for your home of offices you would be advised to start looking now and buy what you need before the end of the year. Vinyl tile is very affordable and durable which is why it is the most popular type of flooring currently. We will have to wait and see what happens in January if the new tariffs take place. 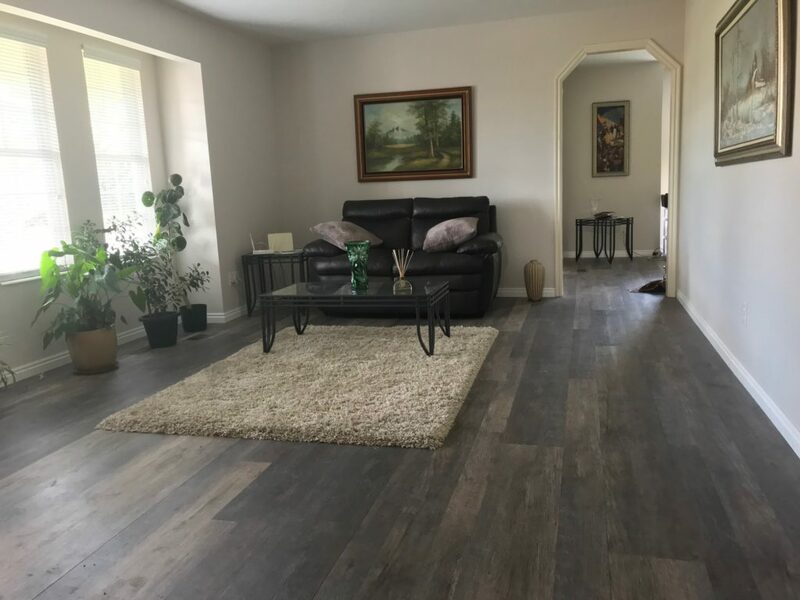 If you are looking for exceptional customer service and the best deals on LVT or carpet in the “Denver Metro” area we are the company for you. Give us a call to schedule a meeting at our Denver showroom located close to 8th avenue and I-25 or for an in home estimate with our mobile showroom. We will be able to give you a cost for installation after examining the areas you want your LVT or carpet installed.